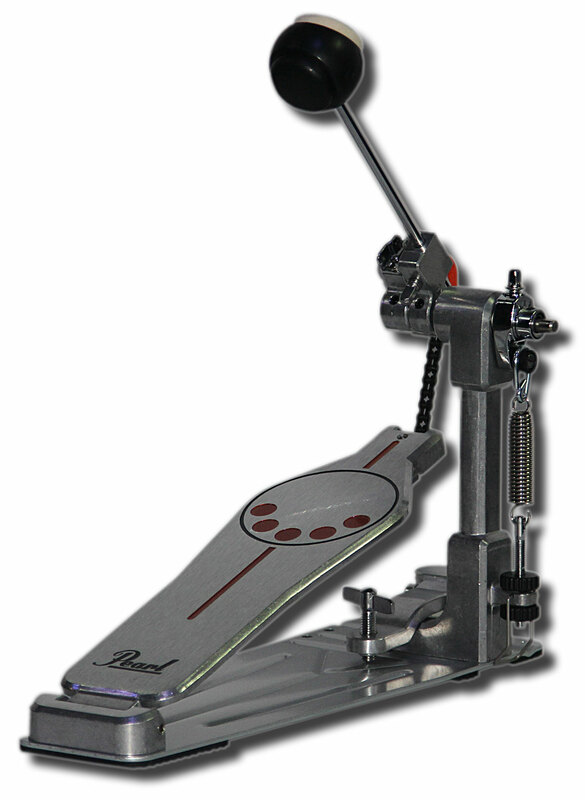 The Pearl P-930 Demonator single bass drum pedal features a host of great appointments taking inspiration from the Eliminator Demon Drive pedal and putting into an affordable unit. The P-930 utilizes a Demon style longboard footplate, an interchangeable cam and an infinitely adjustable beater angle allowing you to customize the feel of the pedal to your tastes. Pearl’s Click-Lock spring tension keepers and Control Core Beater give the finishing touches to this amazingly versatile pedal. Single chain drive Perfect Circle Cam w/ Removeable Eliminator-style Eccentic cam Demon style PowerShifter function longboard Dual surface beater w/ Control Core Infinitely adjustable beater angle Frictionless spring roller. This is a great value pedal with pro features.